Our product care guide is here to help you maintain your products because we want your products to make you smile for a very long time. It is important to understand that Australia has unique conditions and as a result, our care guidelines differ to world-wide standards. For example, we experience much higher UV radiation than the US and Europe. Rather than simply offering advice, I have taken the time to include explanations. I believe that you will be better able to care for your products by understanding why and how certain elements effect your products. Every product on our website has a material attribute assigned in the product description. Most of our products are made of resin/polystone. 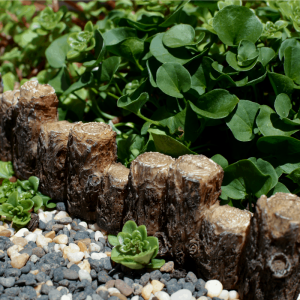 Depending on design, the product may feature a metal stake for secure positioning in your garden. 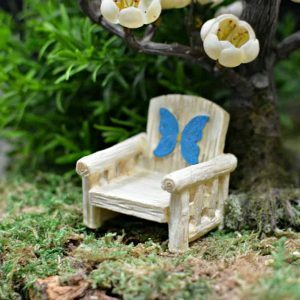 A small number of our product are made from metal or wood. You can read more about product material here. 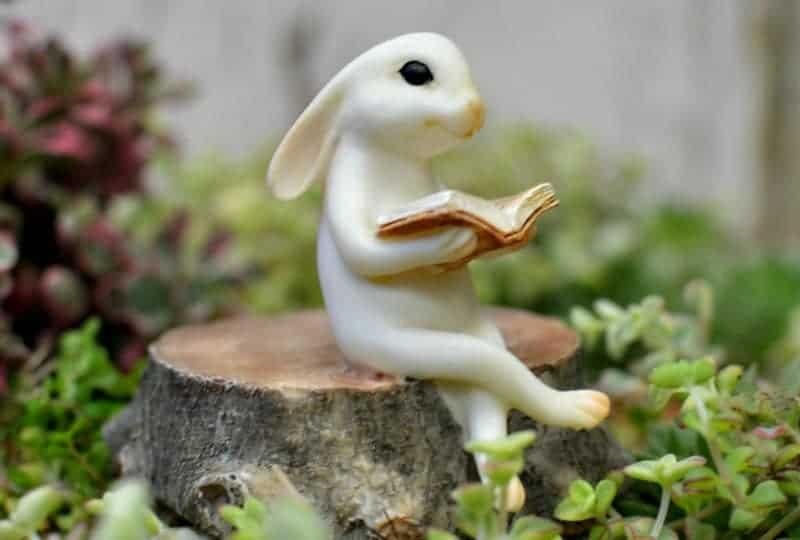 Not all fairy garden ornaments are equal. 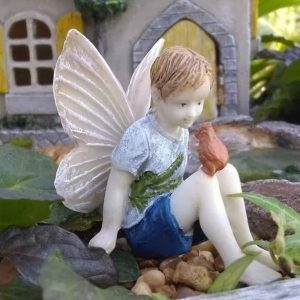 Fairy Gardening Australia is committed to stocking high quality products. All garden ornaments will benefit from these care instructions, even those not purchased from us. However, give product quality some consideration. Low quality products will have a shorter lifespan. 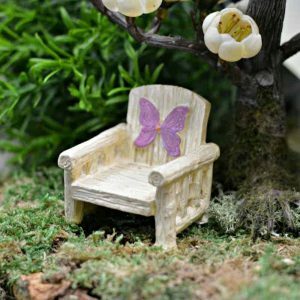 Click here to learn more about fairy garden ornament quality. Discolouration (sun-fade) can occur from prolonged exposure to ultra violet radiation. This is especially relevant in Australia where we experience higher UV levels than the rest of the world. It is important to remember that UV radiation exists year round, not only during the summer months. Our resin and polystone products are painted. UV radiation has the energy to initiate chemical reactions in paint which effects pigment and adhesive mediums. The results of prolonged exposure may include chalking – where the adhesive deteriorates and washes away, leaving loose pigment on the surface. Light may also effect pigments. Pigment particles absorb light and convert it into heat which results in a chemical change which may cause colour to fade, darken or yellow. Resin is especially vulnerable to UV and results of prolonged exposure may result in cracking and brittleness. 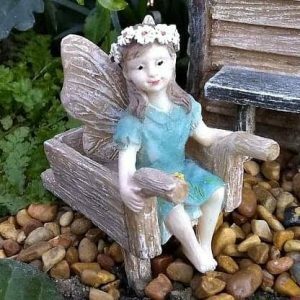 Low quality resin found in cheap fairy garden ornaments is especially susceptible to this. You can minimise the effects by taking a mindful approach to product positioning. While it may be tempting to position ornaments in highly exposed areas, the decision should be made with the knowledge that you are shortening the lifespan of your products. 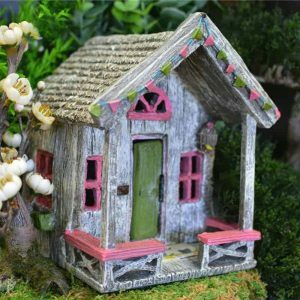 My Recommendation: Position your fairy garden in areas with filtered sunlight or afternoon shade. Well chosen locations include the eastern side of your house, under a tree, under the pergola, etc. That is an excellent question. I have covered this seperately. Click here to read more. Bring your ornaments indoors during extreme weather events. They won’t withstand hail, torrential rain and high wind. My Recommendation: Be aware of the forecast and plan ahead. Keep a basket big enough to hold all your ornaments nearby. Just grab and go when needed. I strongly recommend using a good quality polyurethane spray to coat your products every 6-12 months. A polyurethane spray will provide an extra level of protection by increasing surface hardness, resisting algal and fungal growth and increasing exterior durability. I’ve tested many brands and found high quality sealers provide the best protection. My Recommendation: Avoid cheap, inferior sprays which may yellow or flake and ensure that the product you choose is UV stabilized. Use gloves during application and ensure products are free of debris. My fave brand is Bondall Pot & Ornament Sealer. Dust and other particles will naturally build up on the surface of your products over time. It is important for you to remove this regularly to maintain the overall appearance. Use a soft dry cloth for removal. Use a damp cloth and apply light pressure for removal of heavy soiling. You should use two hands when moving ornaments. They won’t withstand rough handling. 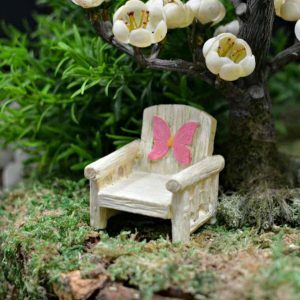 Fairy garden products are ornaments and you will NEVER hear me refer to them as toys. I strongly encourage you to supervise children when they are handling the products. Metal products WILL rust over time. I really love the look of this and find it results in a “shabby chic” appearance. However, you may wish to remove rust and can do so gently with a nail file. These items are more than pieces of resin. They are used to create your magical space, build your story and take your heart and imagination on wondrous adventures. That makes them precious. I do not want them to end up as landfill. 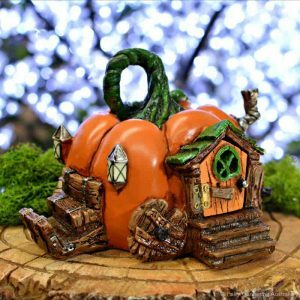 With care and maintenance, the fairies will enjoy the same home across generations. If your ornament is cracked or damaged during use, consider repair before simply throwing it away. Loctite is my choice for resin/polystone products. It’s super strong and easily found in hardware stores. A drop of Loctite using a fine applicator, a toothpick, tweezers and a steady hand which fix many small breakages. Larger breakages will need their pieces supported as they dry. My Recommendation: Breaks are often seen as the end of a products usefulness. It is time for a change to this attitude. Beauty is found within broken things too! A break can often add to its character and charm. Please consider repair before replacement. Tip for aged products: Consider giving your ornaments a fresh coat of paint every few years! My fairy garden is amazing. Can I show you? I’d like to know more about shipping. Where can I find info? I’d like to ask a question. How do I get in touch? I heard you guys have a shop. Tell me more about it!